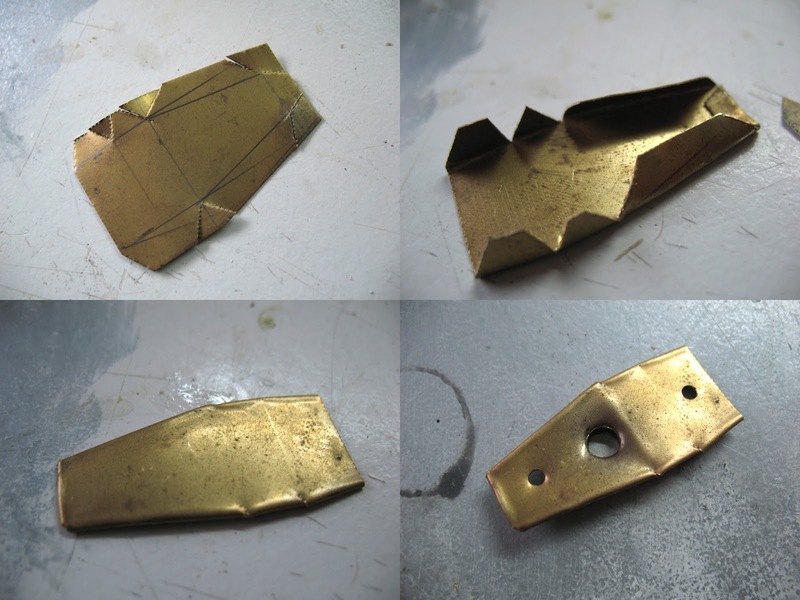 It's a brass plate that's cut in a way so I can fold it along the case edge. Holes are drilled for screws and the brass rod. This brass rod is used to hold a triangular wire that will clasp to the bottom part of the case. 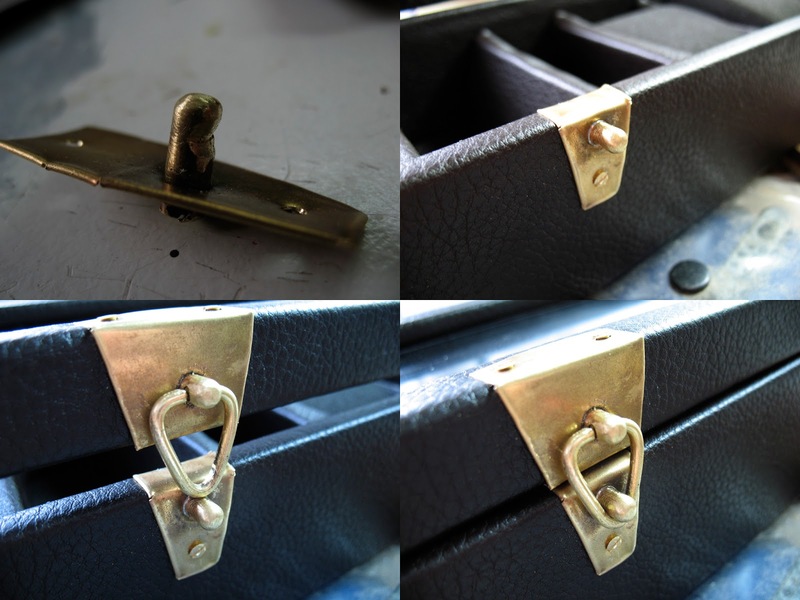 The rod is soldered to the brass plate but it also extends into the case wall to give it extra strength. Then the parts are screwed into place and I filed the bottom rod part of the latch so the triangular piece will slide and hold easily. Very pleased with this result, it's not the cleanest looking thing but I like the handmade quality it has. Next post will show the end result of the watch case!